Our daughter Dana has been diagnosed with myopia since she was about 6. We discovered this through the mandatory school check-up. 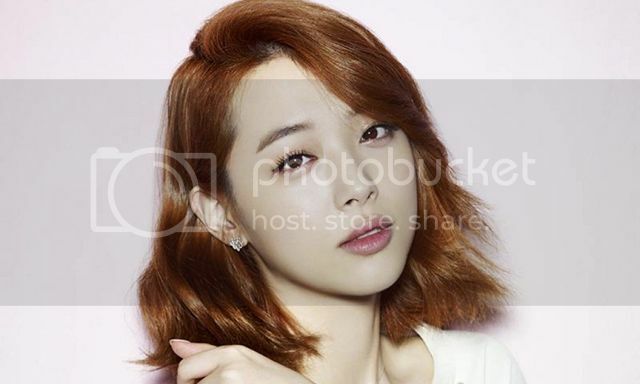 I remembered distinctly I felt very disappointed as she is a sporty girl who enjoys outdoor activities, including gymnastics, cycling, roller-blading, swimming and skiing. I even reproached myself for not taking better care of her eyes. However, I am told the onset of myopia could be due to genes and for her, the insatiable appetite in reading. The start of formal schooling actually exacerbated the myopia situation as she has to do homework and e-learning at night. Last year, we were horrified when her myopia surpassed 300 in both eyes, and seemed to be rapidly declining at every quarterly eye-check. 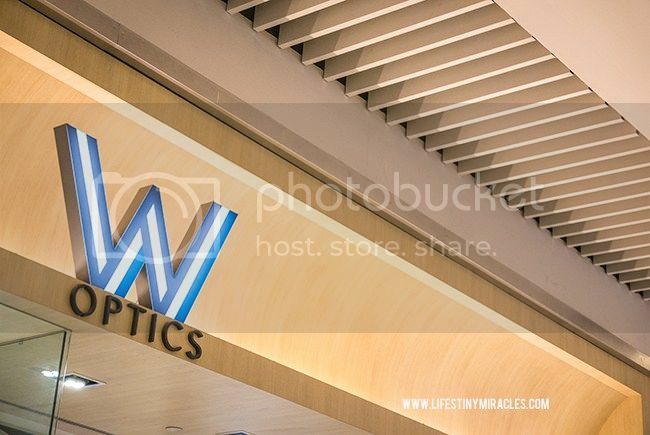 However, a visit to W Optics – one of Singapore’s premier and largest optical flagship store clarified all our doubts. In fact, we felt confident enough to sign our daughter up for the Ortho-K treatment at the same visit. 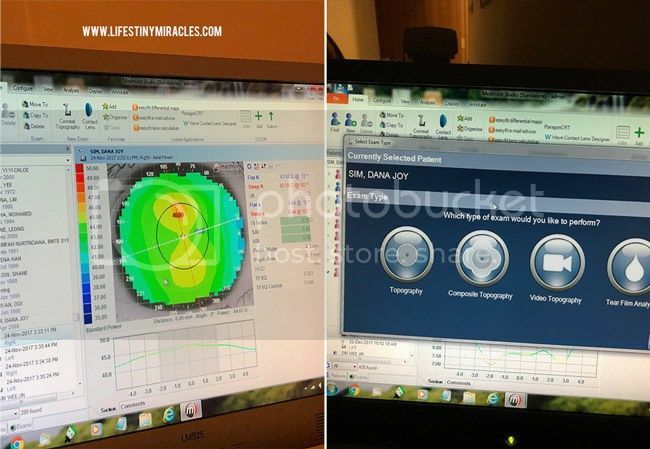 Now, 2 months into Dana’s Ortho-K treatment, she is enjoying the new found freedom that comes with having naturally steady and stable perfect eyesight all day. 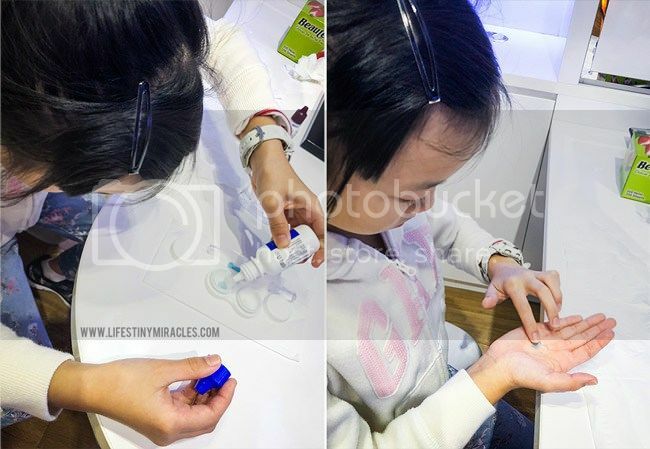 She is also accustomed to the routine of putting on and off her Ortho-K contact lenses, all on her own (kids are truly adaptable, more so than we thought!). Recently, when we asked her if she prefers to revert to wearing spectacles, her answer was a firm ‘No’. Just within the week of starting Ortho-K treatment, she has already had perfect vision restored. That left us wondering why it took us so long to start her on Ortho-K! 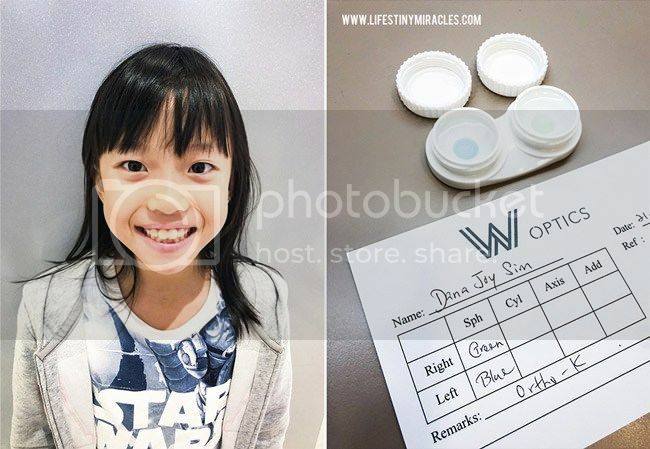 We decided to draft this post to share our experience of embarking on Ortho-K treatment to slow our 9 year old’s worsening myopia. This post is not shared from a medical perspective but from that of a parent, a fellow consumer. It should NOT replace a proper eye assessment by a professional. 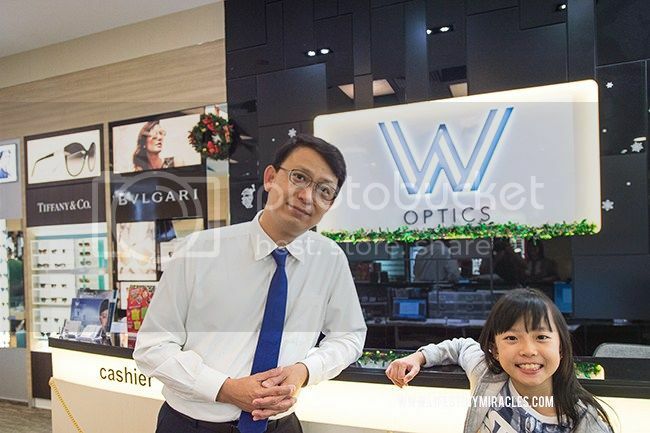 Mr. Chew, the Senior Optometrist at W Optics has 20 years of experience and training prescribing Ortho-K treatment for children (and adults). As a father of four girls, he was extremely patient, gentle, and professional in explaining the entire Ortho-K process to us. With his input, we put together a simple Q&A in layman’s terms with the hope of demystifying any myths parents may have of the Ortho-K treatment. Ortho-K is a non-surgical procedure using customise contact lens to gently shape the curvature of the cornea to improve vision, most users will not need to wear glasses during the day when they are on Ortho-K programme. Most are able to achieve 6/6 visual acuity binocularly. Ortho-K slows down the growth of our eyeball axial length. A more elongated axial length of the eye of the child means worsening of shortsightedness, which will lead to higher Myopia prescriptions. In layman’s terms, Ortho-K is a treatment to stop the worsening of myopia with customized hard contact lenses that retain the shape of individual eyeballs. The treatment involves the nightly routine of wearing hard contact lenses to bed overnight. The user must put on these lenses about 30 minutes before they sleep. They are to remove the lenses once they are awake. 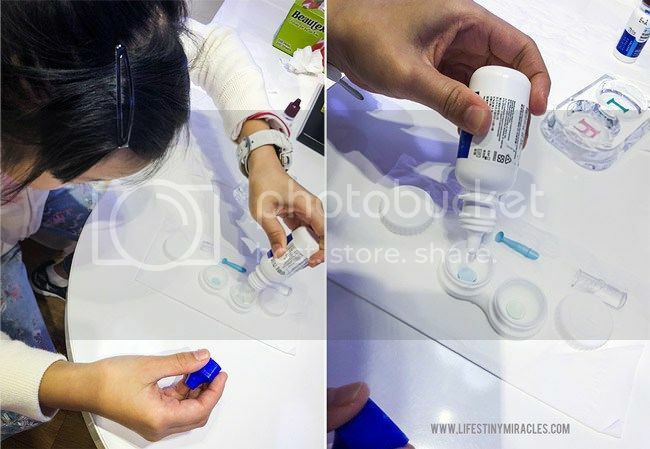 The routine also involves the daily cleaning and maintenance of the contact lenses. 3. What are the benefits of Ortho-K? Ortho-K benefits both children and adults. The main advantage is they can see clearly all day long without the needs of glasses or contact lenses. For those who have progressive myopia worsening year after year, especially children, a major benefit of Ortho-K is its ability to slow down myopia increase significantly, as proven in various studies. 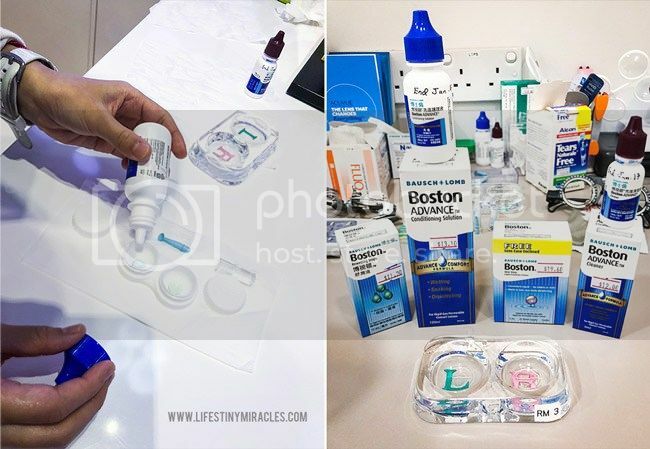 Ortho-K lenses are also suitable for those who are unable to wear contact lens due to allergy, dry eyes, dusty working environment, or tired eyes after staring at computer screen whole day. 4. How many visits must we make to the optometrist for this? In the beginning, there are a few visits. These are basically to ascertain that the eyes are suitable for this treatment and also to assess the effectiveness of the treatment once the user starts using Ortho-K.
a. First Visit: Assessment of suitability. Here the consultant does a thorough examination of each eye to determine if there is any intervention needed on Dana’s eyes before treatment is confirmed to proceed. 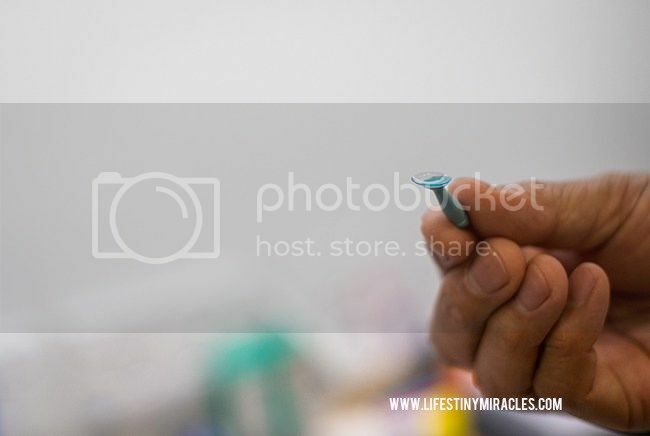 We learn that for some individuals, due to medical reasons, their eyes may need to be treated before they can proceed with Ortho-K as it involves the long-term wearing of hard contact lenses. 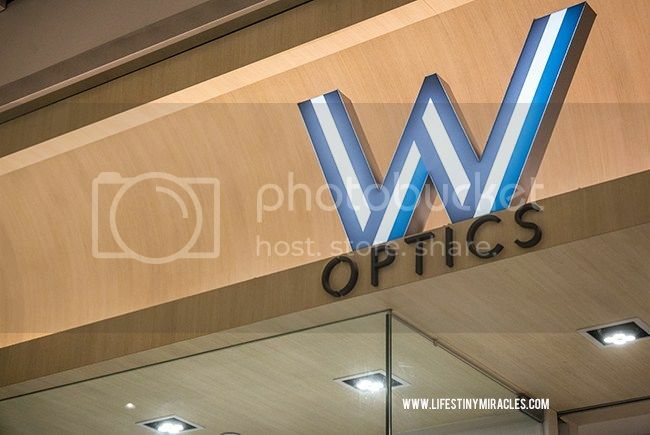 Fortunately here at W Optics, they have their own eye clinic, W Eye Clinic with experienced Ophthalmologists (eye doctors) to help ascertain that. This really saved us time and gave us further assurance towards Dana’s readiness for the treatment. Once assessed to be okay, the lenses are then manufactured. This takes about a week or so. b. Second Visit: The treatment begins. During this visit, Dana was taught how to wear the Ortho-K lenses and will start wearing it for the first time. This visit is best to be in the late afternoon or evening, so that Dana can attempt to don the lenses herself immediately when she reaches home. Which is exactly what we did. c. Third Visit: This is usually the next day AFTER the 2nd visit. The optometrist will examine her eyes again after an overnight treatment. This is to determine how well the eyes have taken to the treatment. We were thoroughly impressed that for Dana, her eyesight has improved by 50% after just one night. It looks very promising! d. Fourth Visit: This is about a week after wearing the lenses. During this time, Dana’s vision has been restored to 6/6! We were overjoyed and so was she. e. Fifth Visit: This happens about 2 weeks after the fourth visit and here the optometrist examined and reviewed the effectiveness of the treatment after about a month’s use. 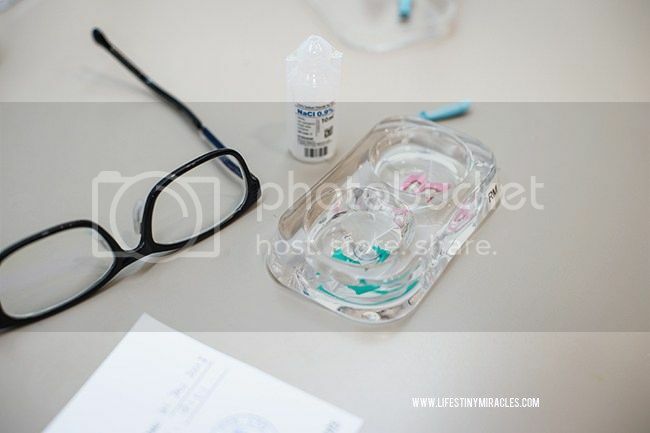 The optometrist will also check if the lenses need any further alignment. If need be, the lenses may need to be remade for better alignment to the eyes. Here, we found that one of Dana’s lenses needed some ‘alignment’. Within a week, we returned to try the new lens on and her eyes were checked again to ensure a good fit. f. Sixth Visit: During this visit, about 2 weeks after the fifth, the optometrist discussed the possibility of a ‘rest day’ – a day in a week or so when the eyes will ‘take a break’ from wearing the Ortho-K lenses. On this rest day, Dana will wear a ‘rest day specs’ which is calibrated to her eyesight after a day’s resting. After establishing her eyes’ prescription power for the rest day, a pair of spectacles was customized on the spot. 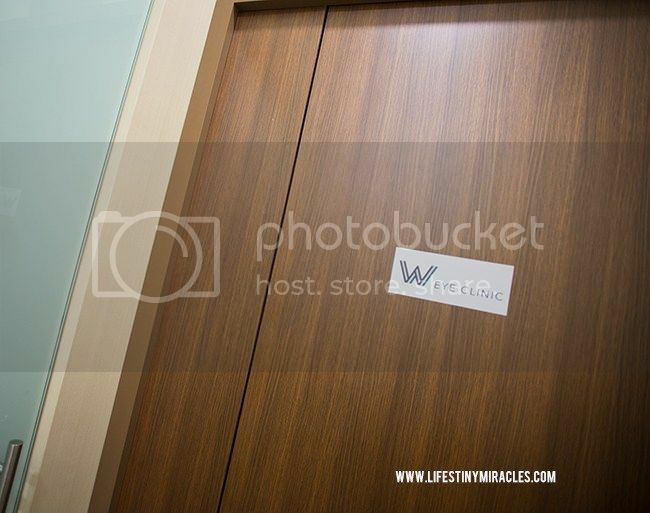 We were impressed that at W Optics, they have the means to ‘cut’ high-quality lenses to fit spectacles on the spot. This saves time and Dana could quickly get accustomed to her rest day spectacles. Subsequent visits: After this, subsequent visits would be about once every 3 or 6 monthly. This is basically to review the eyesight and the lens to ensure that everything is going well. 5. How long does Ortho-K lens last? As the wearing of Ortho-K lens is a life-long exercise, we asked how long a pair of Ortho-K lens would last. Typically, the lens only need replacing roughly once every 1.5 to 2 years depending on wear and tear. The optometrist will advise during subsequent routine visits. The cost of replacing the lens is about 60% of the initial cost of treatment. 6. How much is the initial treatment? Costs vary between users due to the complexities of the user’s needs. The initial cost is estimated to be starting from $1,800 onwards and depend on each case complexity. 7. 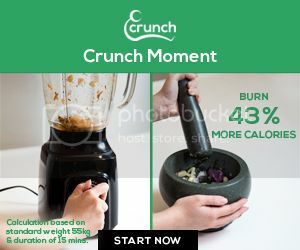 What are the accessories needed and how much do they cost? Not much. There are no ‘special’ solutions that are needed apart from what one needs to maintain hard contact lenses. 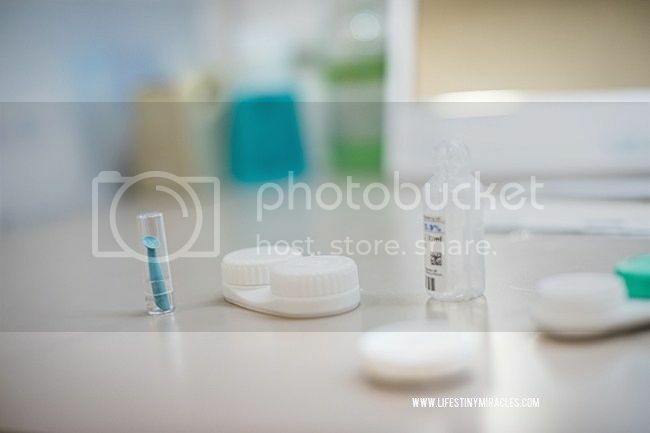 They include saline, eye drops and conditioning and cleaning solutions available over the counters. 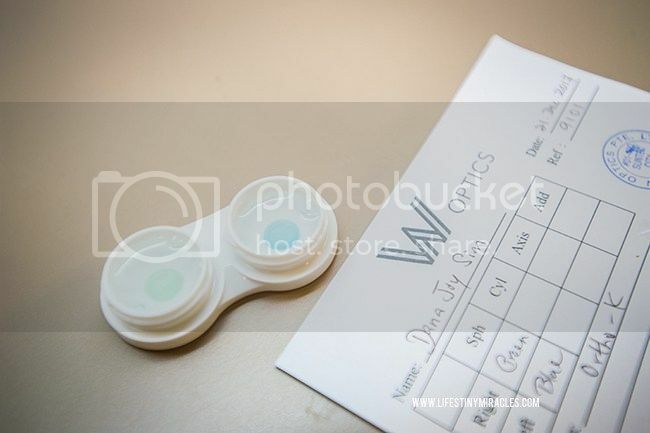 We were also impressed that at W Optics, they sell other accessories such as clearly labelled lens cleaning trays that are customized for the Ortho-K users so that the lenses are not mixed up. Very useful! In addition, we also purchased a table mirror and a small tray (from Daiso) for Dana to store her Ortho-K lenses and solutions properly. This helps her to adapt to the new routine of wearing the lenses. 8. Is Ortho-K suitable for all? 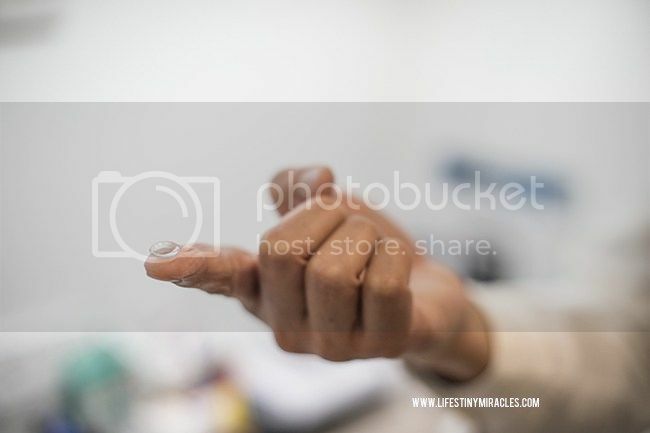 As the process requires the lifelong use of hard contact lenses, one’s eyes need to be medically examined to ascertain that they are ready for the treatment. In fact, we learn one does not need to wait until the myopia reaches an alarming level before using Ortho-K. There are individuals who start using Ortho-Kas soon as they feel that their myopia is worsening to stop the regression of their eyesight. 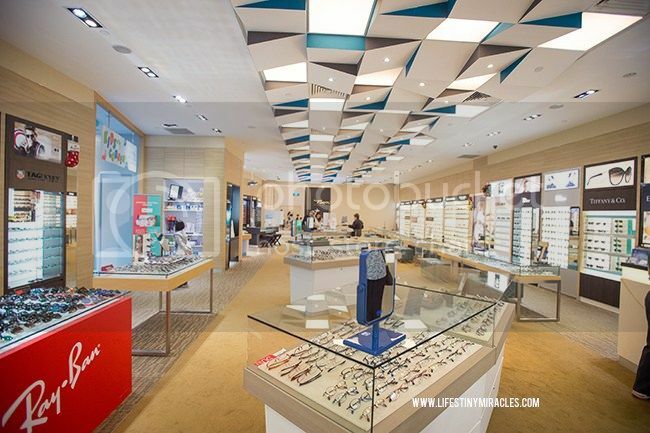 Good thing is that at W Optics they have their own eye clinic, W Eye Clinic with experienced Ophthalmologists (eye doctors). This gives us further assurance of the suitability for the treatment. 9. What’s the minimum age to start Ortho-K treatment? The process of using Ortho-K lenses involves the wearing of hard contact lenses. As such the child must be comfortable to be using these contact lenses. From what we know and read, children as young as 6 years old have started Ortho-K treatments, with their parents’ support. At W Optics, they supply a mini suction pump to ease the removal of Ortho-K lenses in the mornings. Ultimately it would be better if the child is independent enough to wear, remove and clean the contact lenses independently. 10. If a child has high Asti power, will Ortho-K be suitable? The latest design of the Ortho-K can correct Astigmatism up to 5.00. However, an assessment is required before any prescription. 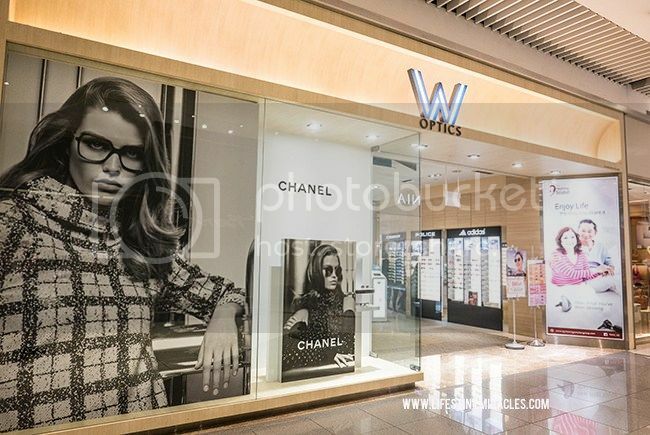 We recommend visiting W Optic’s flagship store at Suntec City #01-400 or book an assessment and consultation. 11. What if an infection occurs? There is always a threat of infection in wearing any contact lenses as long as it involves the use of hands in a non-sterile environment like the home. We reminded Dana that it is essential to follow the daily care and maintenance of the Ortho-K lenses (no taking short-cuts and strict adherence to hygiene factors when handling them). However, he did mention that should the eye feel uncharacteristically uncomfortable or starts to develop redness, we are to seek his advice immediately. 12. Where should I go for Ortho-K treatment in Singapore? The use of Ortho-K lenses is a lifelong process involving our eyes therefore, it is essential that we receive professional advice and support while on the treatment. We are so glad and blessed to meet the good folks at W Optics. 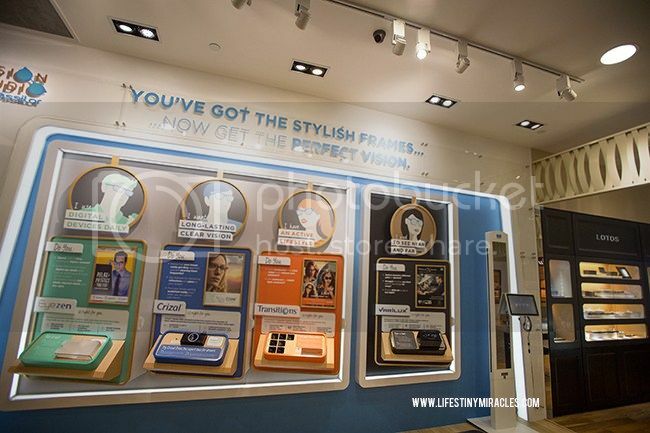 They really have a way with teaching and motivating children the proper way to maintain their eye-sight with Ortho-K.
Apart from being the largest optical store, W Optics is also a Myopia Control Centre in Singapore. We feel truly assured that our daughter’s eyes are in good hands. Ever since we started Ortho-K treatment, Dana has been liberated to pursue her sporting interests. Most importantly, it slows her rapid myopia progression which was worrisome to us. She no longer needs to fuss around with spectacles and can freely enjoy her active life as every primary school child should. Recently, during the school’s mandatory swim meet and other sports meet, she exclaimed that she was thrilled she could just wear normal swimming goggles or could just run and jump without fear of losing or damaging her spectacles! Better still on her own, since Day 1, she has been methodically practising the proper way of using the Ortho-K lenses taught to her at W Optics. They were able to teach and motivate her to remember and continue this practice in a caring and professional way. 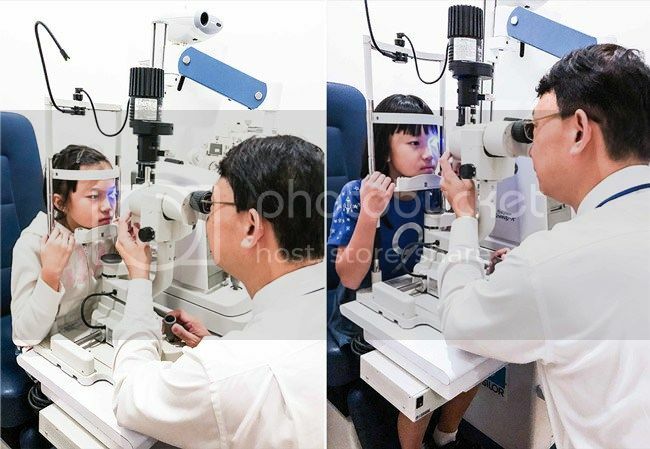 As parents, we are glad that to some extent, we were able to help our daughter ‘restore’ her eyesight, slow her myopia progression and regain back freedom of life without ‘glasses’. Thank you W Optics from the bottom of our hearts! Disclaimer: This post is a sponsored collaboration with W Optics. All opinions and photos are, as always, authentically ours. We will never endorse or recommend any product or services which we do not believe in.